The autonomous agency will conduct CBSE-organised examinations like NEET, JEE-Main and NET at least twice a year. 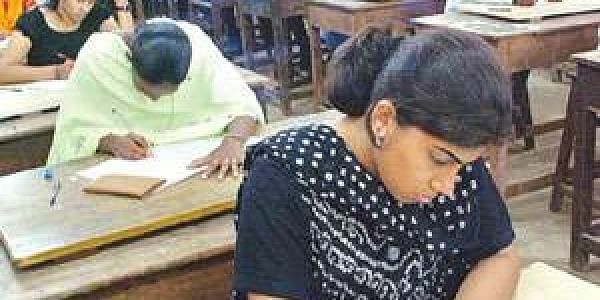 NEW DELHI: In a move to relieve the Central Board of Secondary Education (CBSE) and other examination-conducting agencies, the Centre on Friday approved the creation of a National Testing Agency (NTA) which will conduct entrance examinations for admissions into higher educational institutions. An official in the human resources development ministry said, “The body is being set up with an aim to relieve examination-conducting agencies of the responsibilities which are not their primary mandate and create a specialised body to carry out admission tests into institutes of higher and technical education. “When NTA comes into existence the CBSE will be able to focus its resources on its original responsibilities,” the official added. The agency, which will work as an autonomous body, will first conduct examinations such as the National Eligibility and Entrance Test (NEET), Joint Entrance Examination-Main (JEE-M) and University Grant Commission’s National Eligibility Test (NET). While NEET is an entrance examination for admission into government and private medical colleges, students need to clear JEE-Main for seeking admission into undergraduate engineering and architecture courses. Similarly, UGC NET is a test to determine the eligibility for college and university-level lecturership. The National Testing Agency will carry out these examinations online at least twice a year. Presently, NEET and JEE-Main are held only once a year while UGC NET is conducted twice a year. The agency is also likely to take over organising many other entrance examinations including JEE-Advanced, conducted for admission into the prestigious Indian Institutes of Technologies (IITs). According to the decision taken on Friday, NTA will be chaired by an eminent educationist appointed by the HRD ministry with a director general or CEO, and there will also be a Board of Governors. Some academicians and experts are also likely to be members of the agency. The proposal to set up the agency was first introduced in this year’s budget.